A major restoration of Leshan Giant Buddha, a World Heritage site, is nearly completed and it is expected to meet tourists next month. 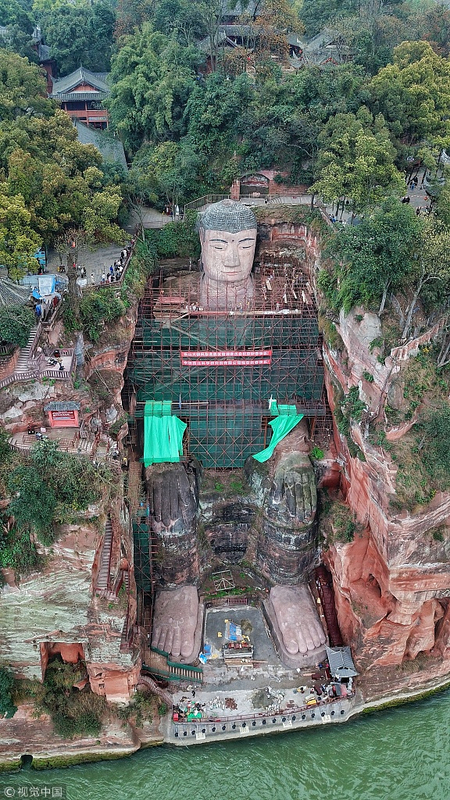 A new round of physical examination and major repairs for the world’s largest stone sculpture of Buddha, located in southwest China’s Sichuan Province, started on October 8, 2018. The renovation mainly focuses on the slits and bumps over previous repair materials on Buddha’s chest, abdomen, neck and hair buns. During the maintenance, four detectors were embedded in the statue to monitor its temperature, humidity, water seepage, and moving of previous repair materials and bedrock, to provide some technical assistance for future protection of Buddha, said cultural relic preservation engineer Sun Bo. Currently, scaffolding enclosing the 71-meter-tall Buddha is being removed and the work will be completed before the end of March. 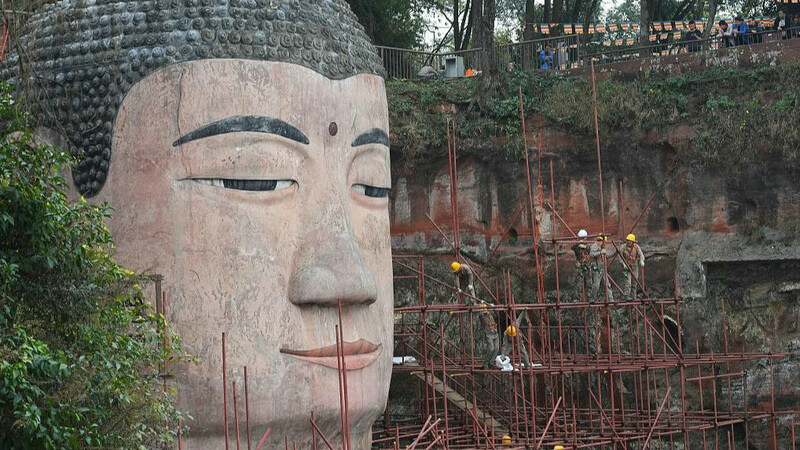 The scenic area close to Buddha is set to reopen on April 1, according to Sichuan Daily. A report on the Buddha’s physical condition will also be issued in mid-April. With a history of 1,300 years, the Buddha sculpture is carved out of red sandstone, which is soft and hard to be preserved. 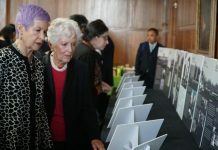 It has undergone nine renovations since 1949. It was included in UNESCO’s Cultural and Natural Heritage Lists in 1996.